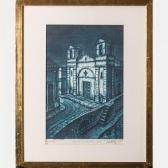 Find artworks, auction results, sale prices and pictures of Oscar Meyer at auctions worldwide. 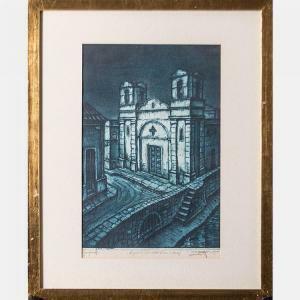 Oscar Meyer (20th Century)Capilla del Niño Dios,Lithograph,Signed and dated 1954 lower right.Framed dimensions: h: 21 1/4 x w: 17 in. H: 14 7/8 W: 9 5/8 in.